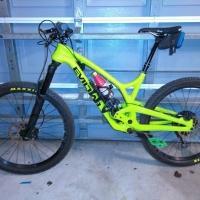 Forums › Mountain Bike Forum › Which bike? trackerJack 1 year, 11 months ago. So was heavy into mtn biking years ago with and want to get back into it but without breaking the bank. 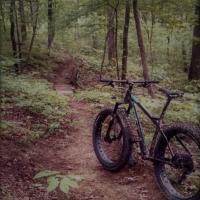 Will be mostly on single-track in local and state parks here in Western New York. Looking for a value bike and $1000 just leaves a few components under par. So I’ve narrowed it down to these two direct to consumer brands keying again on value. All bikes are similar in specs and price. Just wondering peoples thoughts. I would refrain from any of those you listed, as none of them are a true mtn bike. And all three have very cheap components. options as to what kind of bike you may want. The plus size tires truly are confidence inspiring. And they come tubeless ready! All you need is some Stans and valve stems. Check out Skills with Phil (Phil Kmetz) on you tube torture test this thing. He road it stock and it took everything he threw at it. https://www.youtube.com/watch?v=aR2oLA9mSXw&t=2s I couldn’t put this much abuse on a bike in a year of riding but watching this I have no questions concerning it’s durability. I really like this bike for the price and it’s slightly more aggressive geometry. Compare the specs to the Specialized fuse (that I almost bought) $1400 version. I spent months contemplating which bike to buy before getting the Tokul. I am happy with my decision. Just my opinion though. Hope it helps. 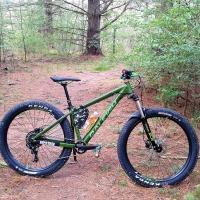 One buddy here go that 27.5+ Raleigh Tokul 3 and seems a very good one. I’m not sure why anyone would say those are not real mountain bikes. They all look okay to me. I have been riding mtn bikes for 23 years and almost pulled the trigger on the Airborne Goblin a couple of years ago. Was not terribly keen on the X7 (I prefer Shimano) and ended up running across a similarly priced bike with a bit better spec at a LBS. I think the reason the bikes listed are not considered real mountain bikes are the steep head angle. 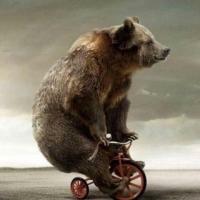 Bikes designed for rougher terrain especially hilly terrain usually have a slacker head angle like the Salsa he listed.. I know my FS bike is 2 degrees more slack then the bikes the OP is looking at and I want to go a degree or two more slack, as going over log and rock obstacles I have gone over the bars a few times. And I ride in Florida, mostly flat. The Cube is by far the nicest of the three you listed and also the most expensive. I’ve mentioned this before, but for the money the Honzo AL is hard to beat. You can likely get it for less at a local Kona dealer. I also agree with the recommendations for the Raleigh and the Salsa above. Any of these will dust the Airborne and the Bulls by a long shot. At the end of the day whatever bike gets you out there is great. Be mindful of the fact that if you buy online, you will need to have the mechanical ability to build/set-up the bike or the money to pay a shop to do it for you. If the later is the case, then you’re better off buying local.